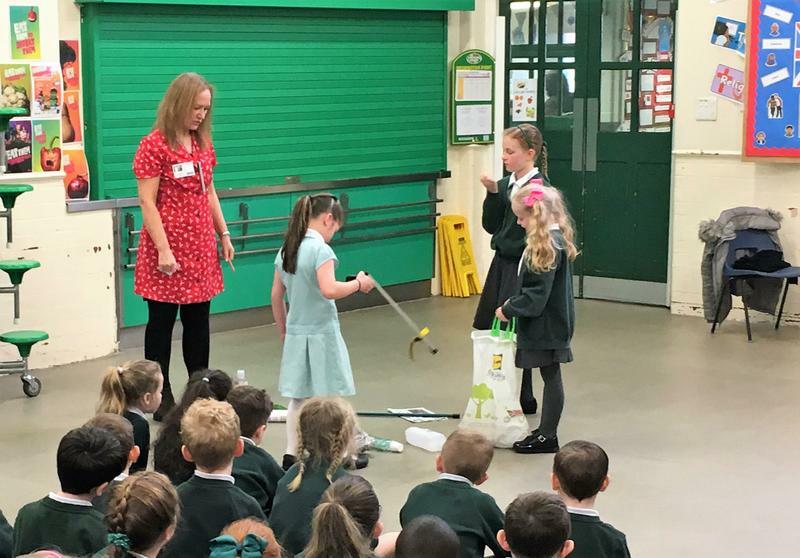 Many thanks to one of our Year 4 parents, Miss Makin, who came into school on Wednesday and led the assembly on The Great British Spring Clean. Miss Makin talked about how she had collected a lot of rubbish whilst on a walk with her daughter Honor. The children watched a video of Steve Backshall reading a poem about Jemima Glitter and the Bob the Bottle. The children had a great assembly and some volunteers practised picking up litter in the hall. If you require any further information about getting involved in the Great British Spring Clean, then click below.